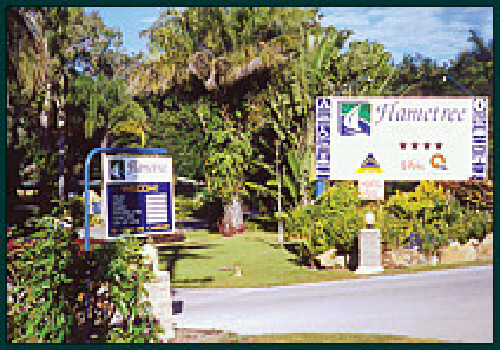 Flamtree Tourist Village is the place to go for your Whitsunday holiday of a lifetime. With the Great Barrier Reef within convenient access, Airlie's dining spots just a few minutes away, friendly staff and tariffs to fit your holiday budget. 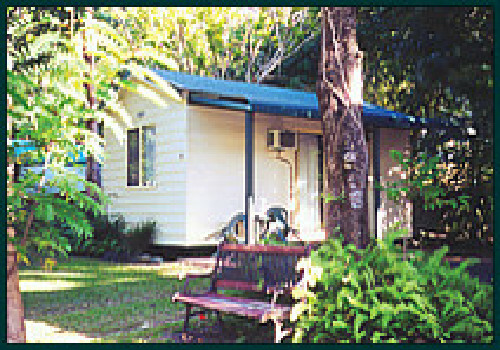 Set in 7 acres of native flora and fauna and surrounded by the Conway National Park, the village features a wide range of accommodation styles from Ensuite Villas to Caravan and Camping sites. 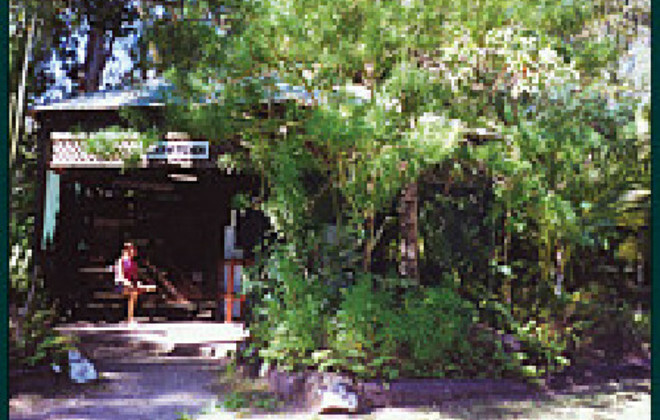 Visitors to the village are surrounded by nature, huge vines cling to the tall shade giving trees which make this such a cool pleasant refuge on a tropical day. A creek meanders through the grounds, crossed by pretty wooden bridges. Every site is shady and landscaped with wildlife roaming freely throughout the park, your holiday neighbours include Ducks, Scrub Turkeys, Bush Stone Curlews, Peacocks, Lorikeets and a myriad of small birds. 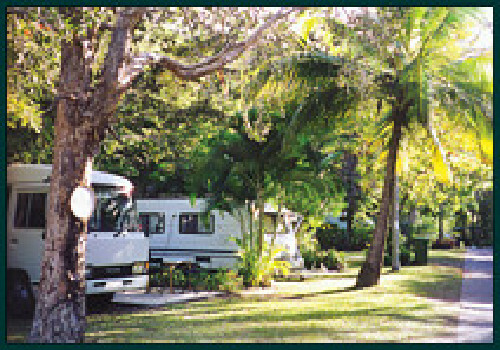 Flametree Tourist Village is nestled amongst 7 acres of shady tropical foliage, near Conway National Park. 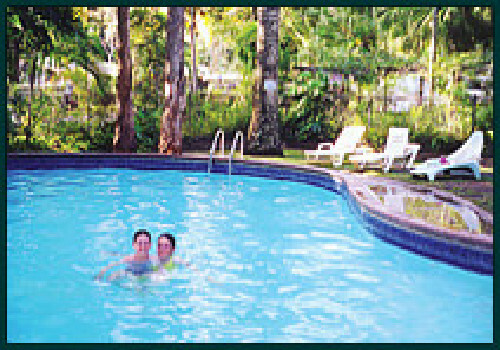 Flame Tree is also minutes away from the tourist town of Airlie Beach, and Shute Harbour, the gateway to the 74 Whitsunday Islands. 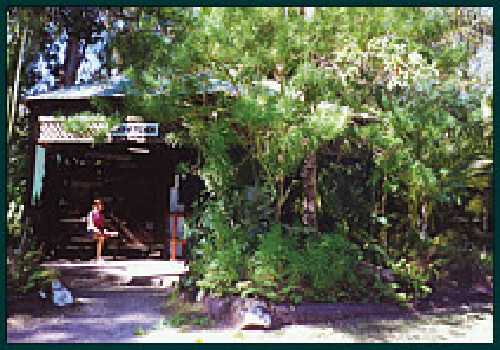 If you don't feel like driving, the regular bus service has a stop right outside our door, linking you to both Shute Harbour and Airlie Beach. The Great Barrier Reef, and other day trips are within convenient access, making this environmental haven in an ideal position to get away. Explore the magic of Conway National Park on bushwalks. Or take a 4WD tour of the rainforests and learn about the area from a local. The Whitsundays is an aquatic playground. If you have a water sport that you would like to try your hand at, then we can arrange it for you. Why not try parasailing for a birdseye view of the islands and mainland or water-skiing on the calm blue waters of the Whitsundays. Head out on a 3 day 2 night sailing adventure and experience the wonders of the Great Barrier Reef and Islands. There are a variety of charters, sailing to different locations in the Whitsundays. With all this choice our staff are happy to take you through your options and ensure that you board a boat that will meet your needs. Like the idea of sailing, but only want to spend a day out on the water? Well there are a variety of day trips that you can go on, that explore different locations in the Whitsundays. Jump aboard a boat heading out to some of the fantastic fringing reefs surrounding the Whitsunday Islands or set sail to Whitehaven Beach and spend the day relaxing on the pure white sand. Take a flight over the Great Barrier Reef, Whitehaven Beach or Langford Reef and stop for a snorkle in the crystal blue waters or why not fly to Hayman Island for a day of indulgence. Flights available by helicopter or seaplane. Visit the Great Barrier Reef and explore a magical underwater world. You can explore it SCUBA diving or snorkelling. Either way the view is fantastic and an unforgettable experience! For a leisurely day out, try a round or two of golf, either on the mainland or at one of the Island resorts. By clicking "Submit" you certify that this review is based on your own experience and is your genuine opinion of "Flametree Tourist Village" and that you have no personal or business relationship with "Flametree Tourist Village" and have not been offered any incentive or payment originating from "Flametree Tourist Village" to write this review.